I have always held a special affinity in my heart for liberal arts colleges. Maybe it’s the small campuses, maybe it’s being able to form close relationships with your professors, maybe it’s the small discussion-based classes. In any case I believe that some students might be missing out on great opportunities for their education because they overlook the benefits of a liberal arts education. This first installment of “Tony Natelli’s Liberal Arts College of the Month” is an explanation of what a liberal arts college offers students while they are attending and the opportunities that are afforded those students once they obtain their degree. 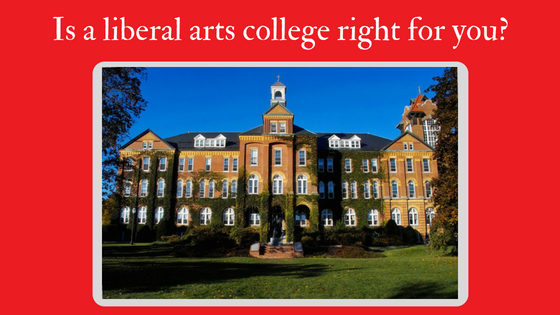 A liberal arts college is a school that offers four-year degrees that are based on general liberal arts educations. These degrees are broad in breadth and are humanities or science based, which means they are degrees that cover subjects like Art, Literature, English, Sociology, Political Science, Philosophy, History, Anthropology, Linguistics, Mathematics, and the Physical Sciences, etc. As you can see, a liberal arts college offers the chance to gain many of the skills that a university setting offers, but often in a setting that allows students personal access to professors and a much smaller class setting. The small class setting helps students create relationships with professors and gain a much more intimate knowledge of the material being taught through class discussion and group work. A liberal arts education is not for every student, but I believe strongly that these colleges deserve a closer look from students as they start their college search. Many students who graduate with a liberal arts degree will then go on to a graduate program in a specific area or go to a professional school. Liberal arts degrees are perfect foundations for medical school, law school, business school, and visual and performing arts. As a factual point, many liberal arts colleges have higher acceptance rates to medical school, law school, and other graduate programs than some highly ranked universities. Bookmark our blog and check back in July to see which liberal arts college I will be highlighting, and be sure to subscribe to the NYC Admissions Solutions college newsletter to stay up to date on my latest college admissions tips and strategies. Tony Natelli — College Admissions Counselor for NYC Admissions Solutions. 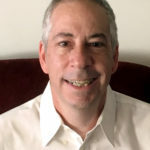 Previously a college placement advisor at Hunter College High School in NYC and currently college placement counselor at one of the top 50 public high schools in the nation in northern NJ, Tony has over 10 years of experience counseling students and families on competitive college admissions.